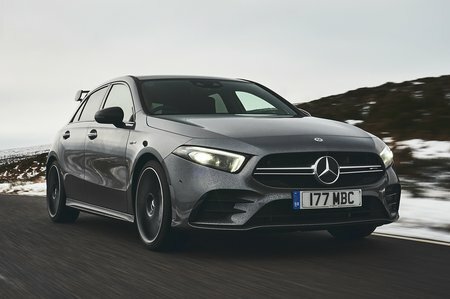 Mercedes-AMG A35 Boot Space, Size, Seats | What Car? 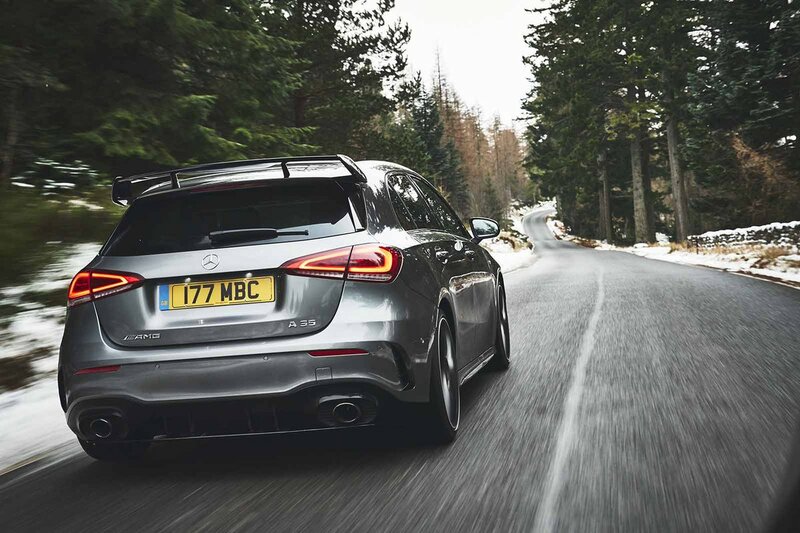 To put it simply, the A35 is just as practically designed as any other Mercedes A-Class. 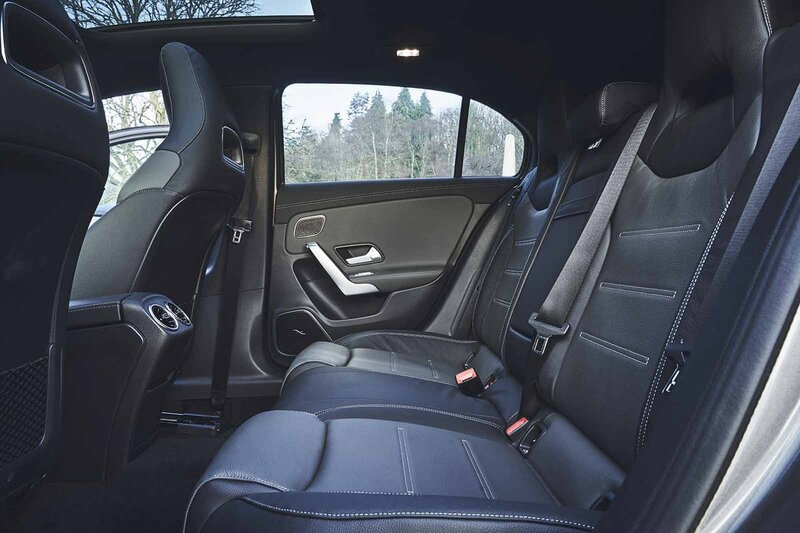 That means plenty of space up front for a couple of 6ft-plus adults, especially if you avoid the head room-stealing optional sunroof and decent oddment storage, too. A couple of tall mates will fit in the back but can expect to find their knees close to the front seatbacks and heads near the roof. Still, the Audi S3 and Volkswagen Golf R isn’t much better and it trumps the BMW M140i. If you want a hot hatch and need to carry adults in the rear regularly, the generous rear leg room of the Civic Type R makes it a better bet. There’s nothing spectacular about the boot of the A35, although it’s spacious enough for a big weekly shop or a week away for two. In fact, when we did our suitcase boot test, the A-Class and A3 tied on six carry-on suitcases each (the 1 Series managed five), although it was less of a squeeze to get them in the Audi. The lip at the boot entrance is a bit annoying, because it means you have to heave heavy items over it rather than simply sliding them in or out. Rivals such as the A3 and Golf have a height-adjustable boot floor to mitigate this, so it’s a bit of a shame that a similar feature isn’t available on the A35.